Signed with the Dolphins as a free agent on October 24, 2007 ... Was waived by the Cardinals on October 16, 2007 ... Was claimed off waivers by Arizona from Oakland on September 2, 2007 ... Was the first of three third-round draft choices of Oakland (65th overall) in 2007. 2010 - For the season has seven tackles ... Played in a reserve role seven games this season and was inactive once ... On Sept. 19th at Minnesota had five tackles ... Played in a reserve role in three preseason games and did not play once. 2009 - Saw action in 11 games ... Did not see action in one game and was inactive for four others ... Finished with six tackles (five solo), and one sack ... Registered two tackles at Buffalo (11/29) ... Made one tackle vs. New England (12/6) ... Recorded a tackle at Tennessee (12/20) ... Posted one sack for a six-yard loss vs. Houston (12/27) ... Made one stop vs. Pittsburgh (1/3/10). 2008 - Played in 12 games, starting once ... Was inactive three times ... Finished the season with two solo tackles ... Added one special teams tackle ... Made his first start of the season at Arizona (9/14). 2007 - Was inactive for the first six games of the year with Arizona before being released ... With the Dolphins, played in seven games, including one start ... Dressed but did not play in one and was inactive for another ... In the seven games in which he saw action, registered eight tackles and 1.5 sacks ... After being inactive for his first game with the Dolphins, made NFL debut, in a reserve role vs. Buffalo (11/11) when he responded with two tackles and a half-sack ... First full sack of NFL career came in Monday night game at Pittsburgh (11/26) when he dropped Ben Roethlisberger for a three-yard loss ... Initial start of NFL career came at New England (12/23) ... Had one sack in preseason with the Raiders. Was a four-year letterman at Georgia (2003-06) during which time he tallied 137 tackles, 44.5 stops for loss and 25 sacks ... As a senior, was a first-team All-Southeastern Conference selection when he recorded 33 tackles, 12 stops for loss and 4.5 sacks as Georgia ranked eighth in the nation, allowing an average of just 258.2 yards per game ... Was a member of the SEC Academic Honor Roll his senior year ... Had a career-best 11.5 sacks as a junior in 2005, as that figure is the sixth-highest single-season mark in school history ... It also placed him eighth in the nation and second in the SEC that year ... His career-best 20.5 stops for loss as a junior also ranked second in the conference while it ranked 14th nationally ... Majored in recreation and leisure studies. Attended Cedar Shoals High School in Athens, Ga ... As a senior, amassed 77 tackles, 12 sacks, three fumble recoveries and three forced fumbles ... Also starred on the school’s basketball team and was named to the Atlanta Tipoff Club's AAAA All-State team ... Has taken part in the Dolphins’ annual holiday toy event ... Lists Denzel Washington as favorite actor, Jada Pinkett Smith as favorite actress, “Gladiator,” “Troy” and “300” as favorite movies and “Law and Order SVU” as favorite television show ... Participated in the Miami Dolphins Foundation Fishing Tournament ... Shopped with children in need from local schools as part of the Kids and Fins Publix Shopping Spree ... 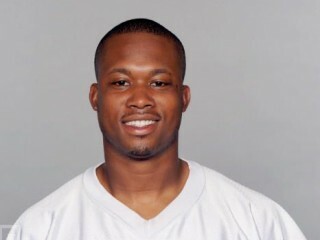 Took part in the inaugural Miami Dolphins Touchdown For Life Blood Drive ... Full name is Quentin Moses, born November 18, 1983 in Athens, Ga.
View the full website biography of Quentin Moses.